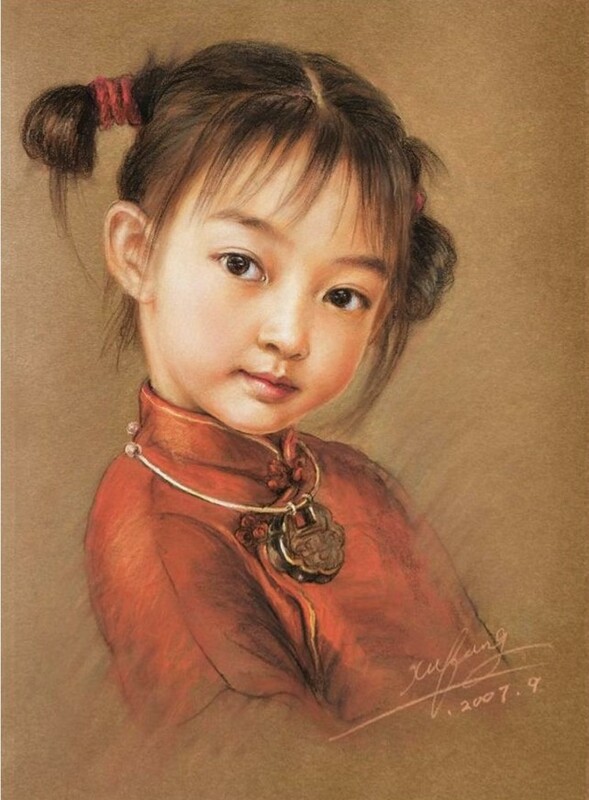 She is born in 1979, in China. 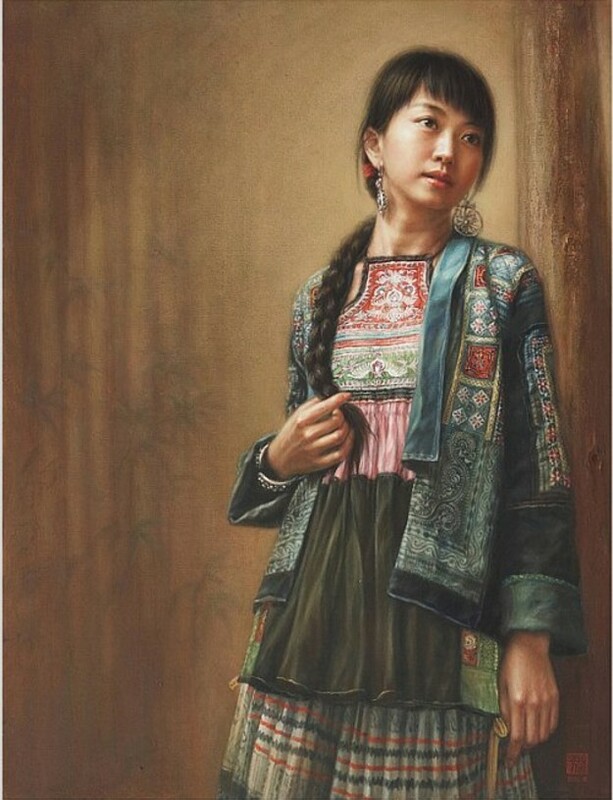 She is especially strong in paintings of young Chinese girls – most of which are self-portraits The clothes worn by the girls shown in her paintings were all designed by Ms. Xu Fang herself . 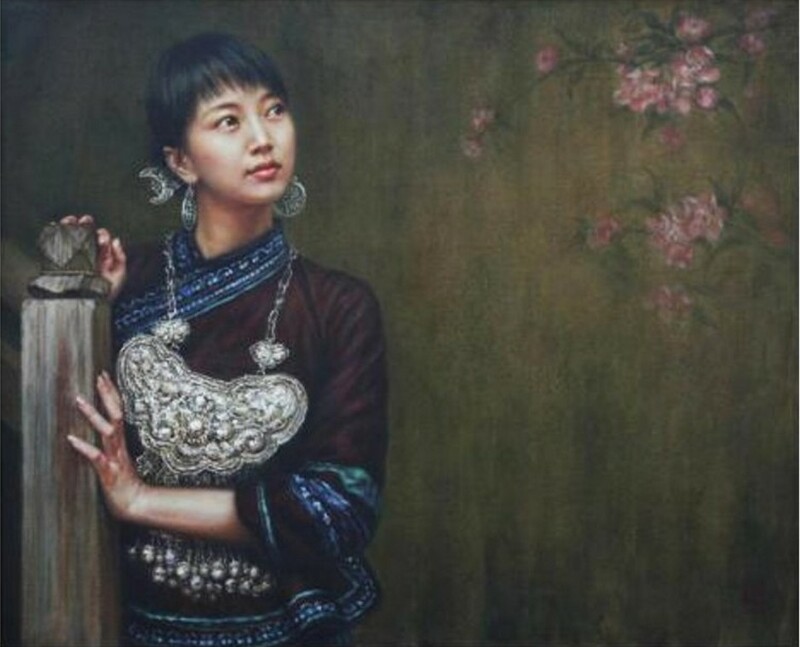 Ms. Xu Fang graduated from Yunnan Fine Art Academy, oil painting department, in 1998. 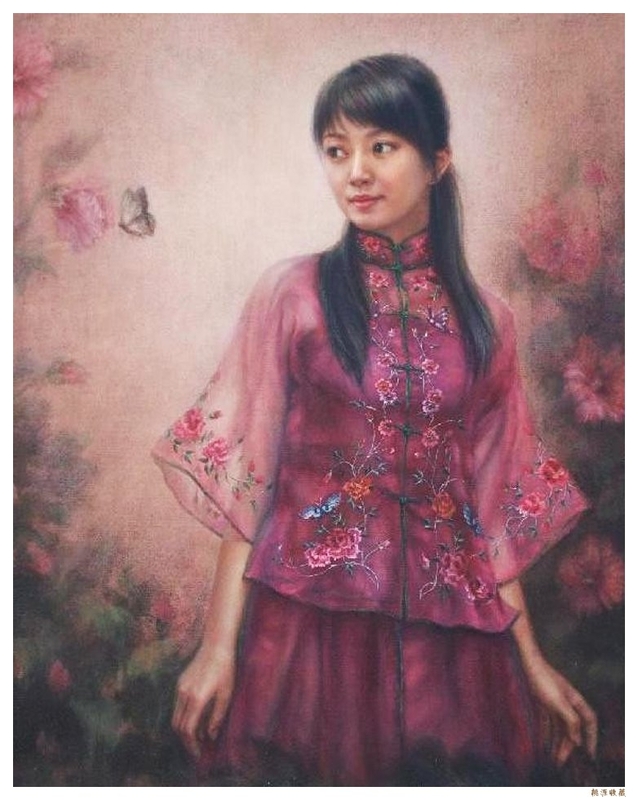 From 2000 to 2004, she worked as a teacher of Yunnan Arts and Crafts School. 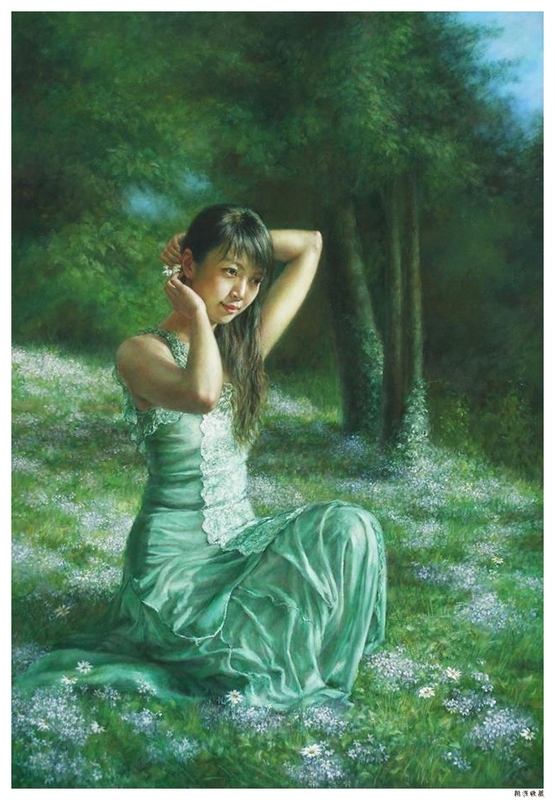 Currently she works as a professional artist specialized in oil paintings. 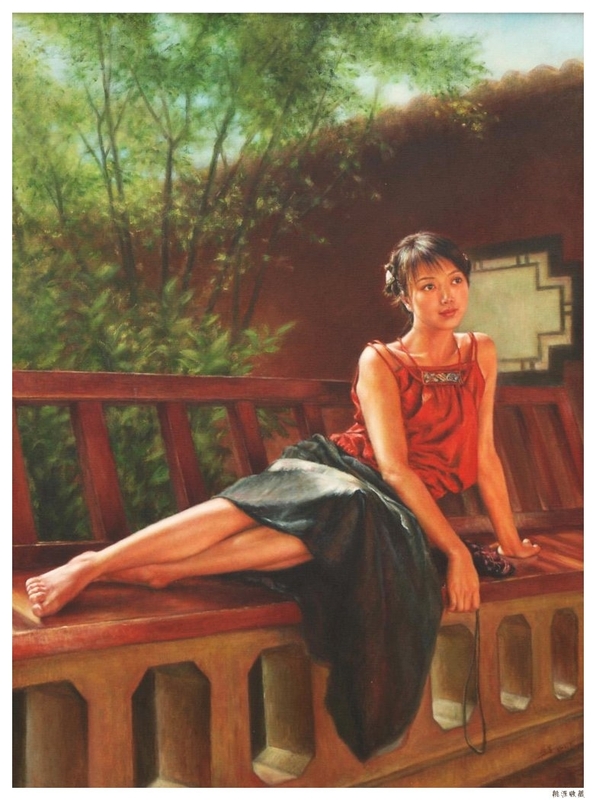 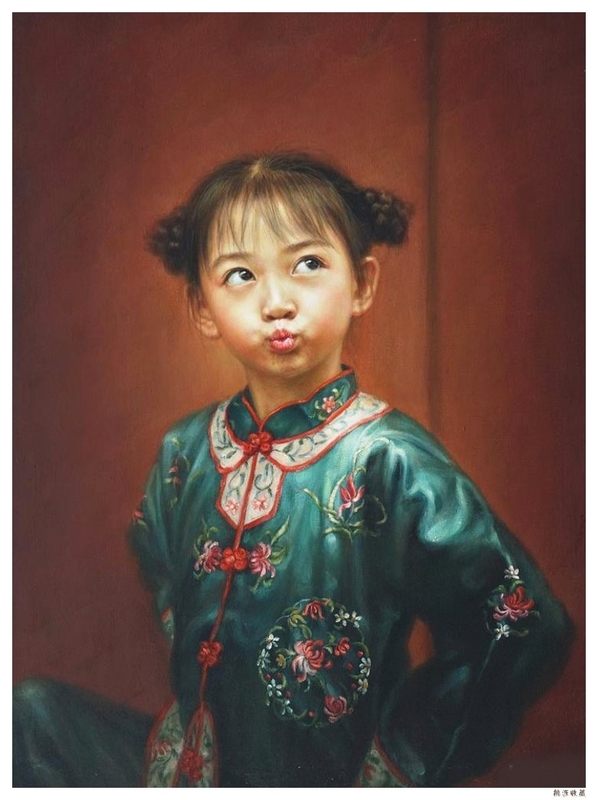 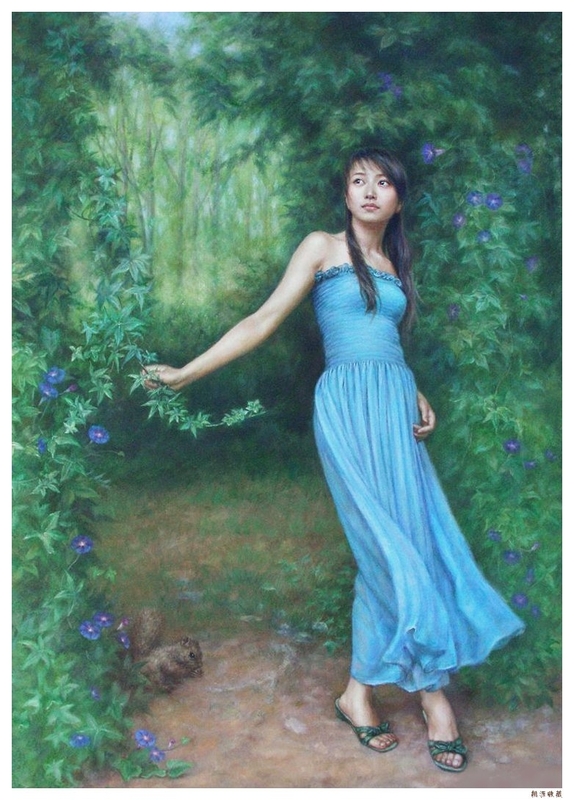 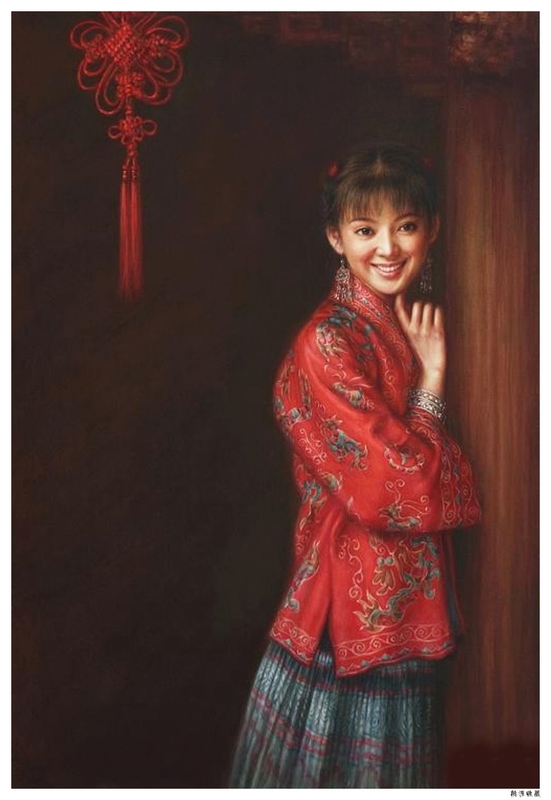 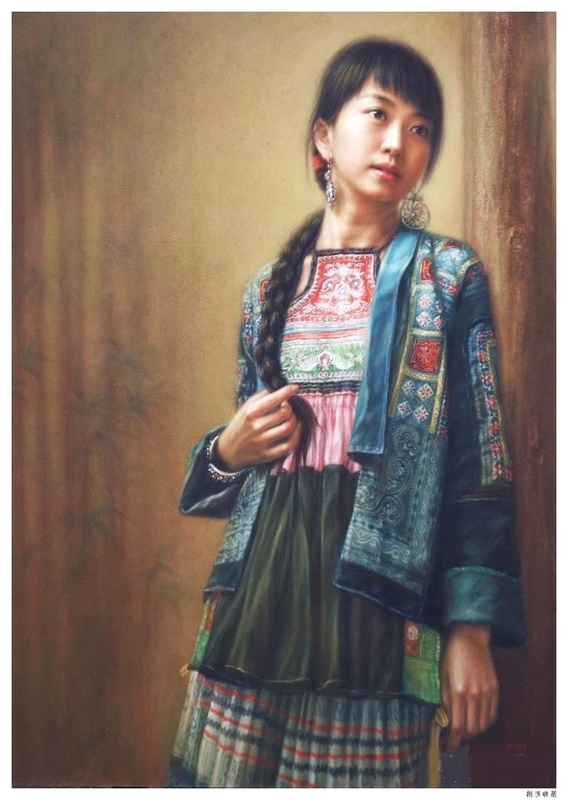 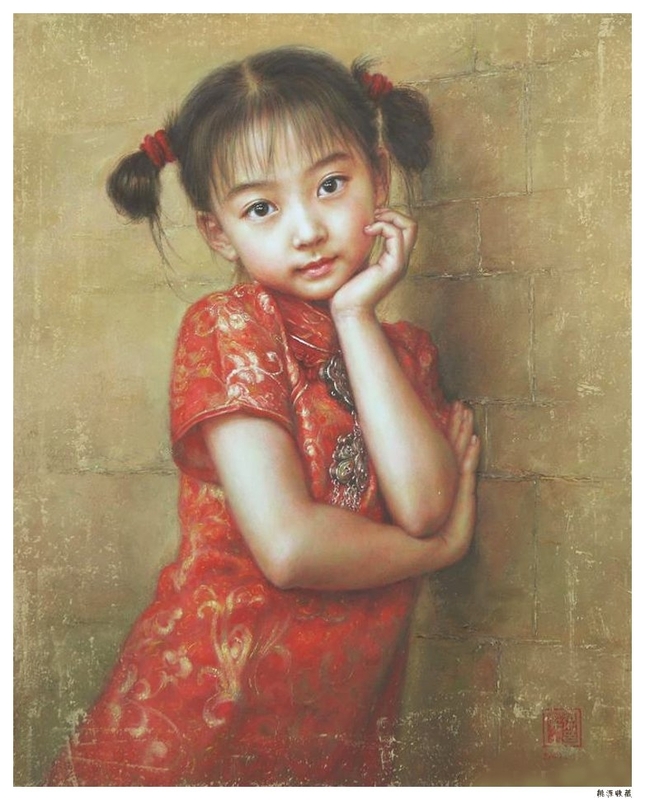 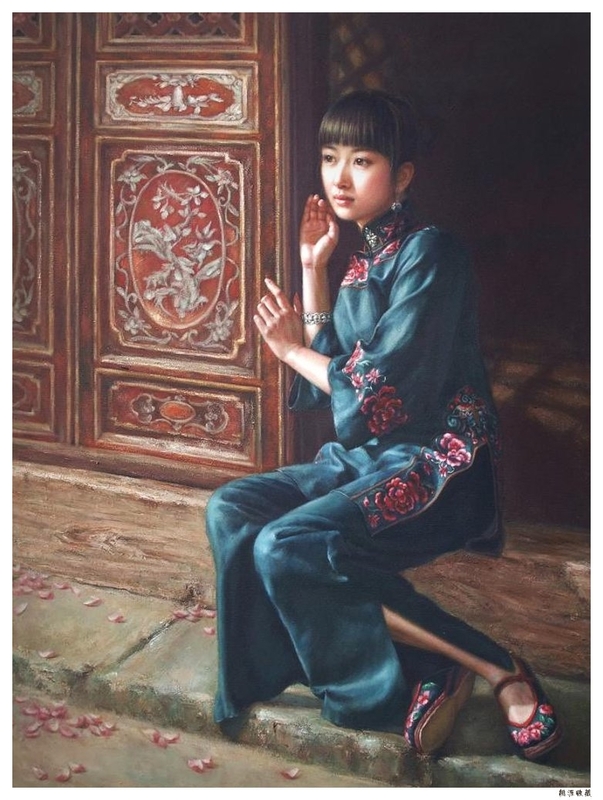 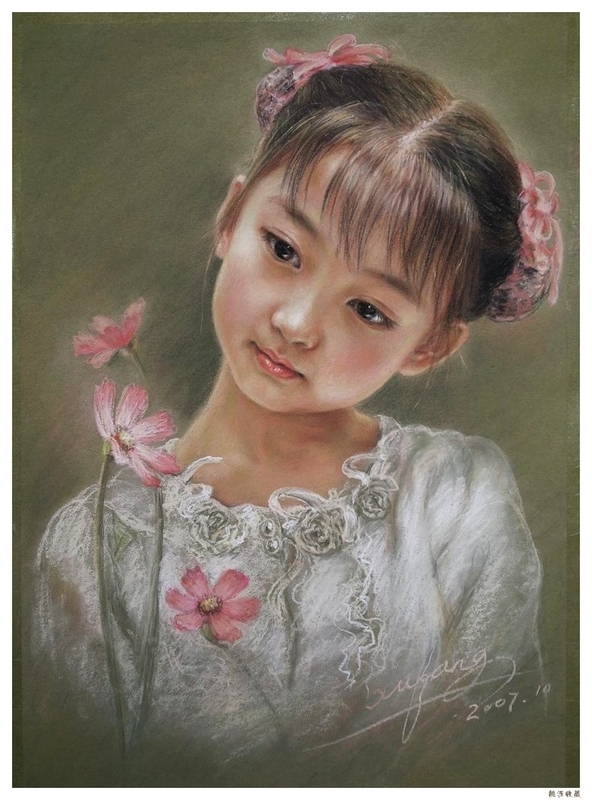 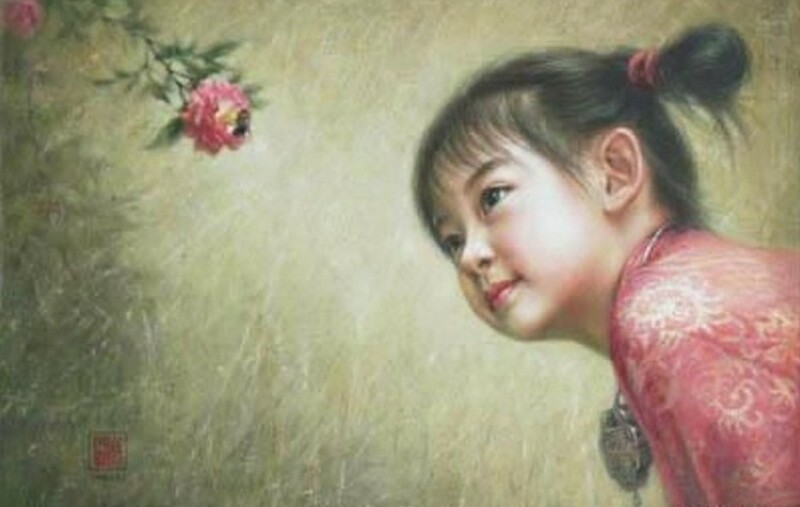 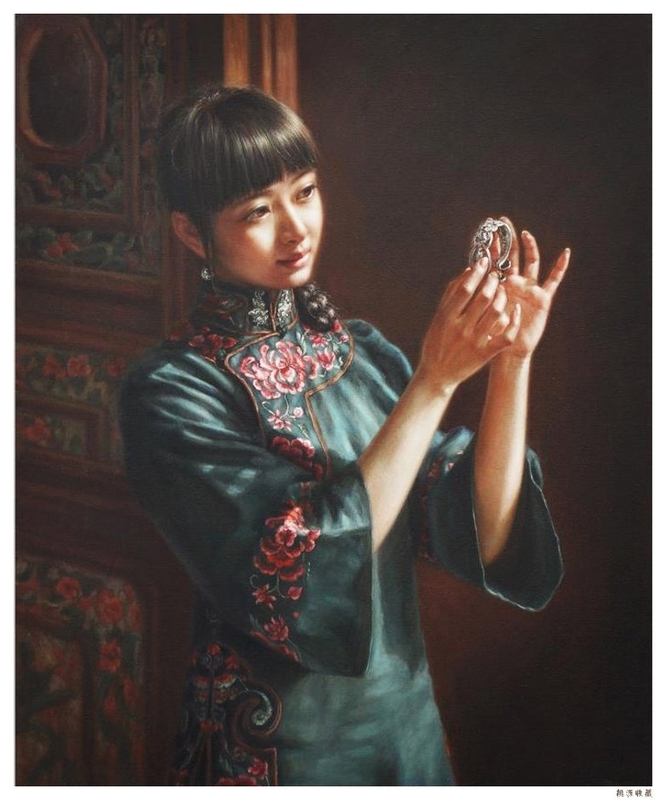 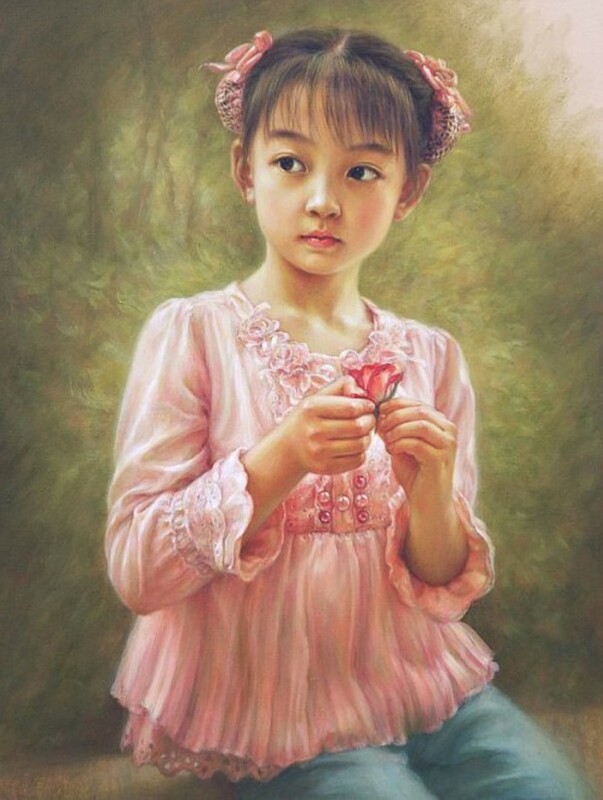 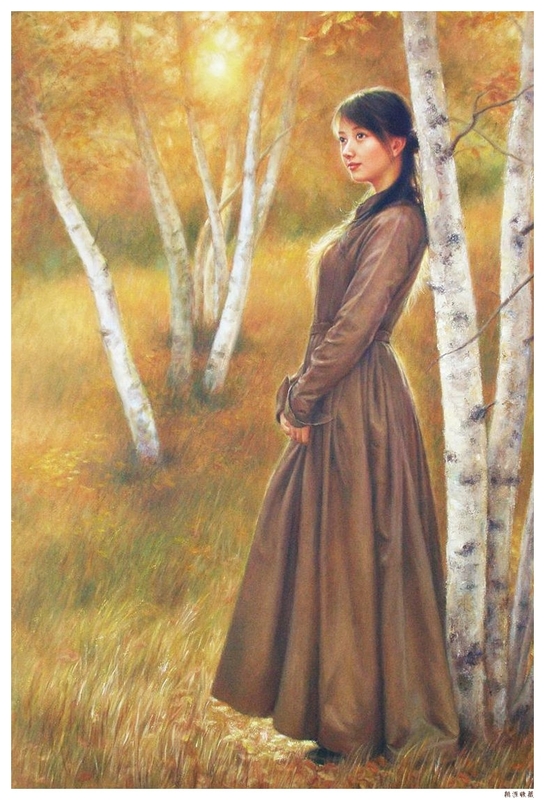 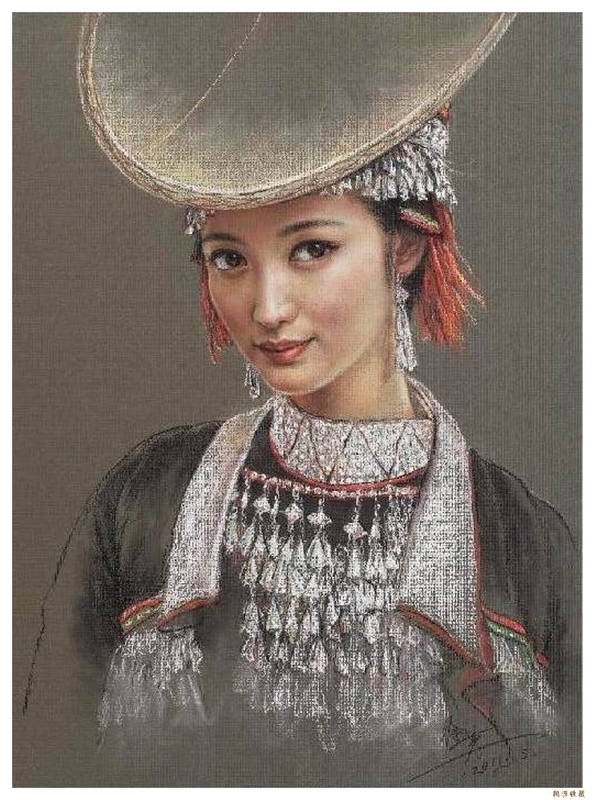 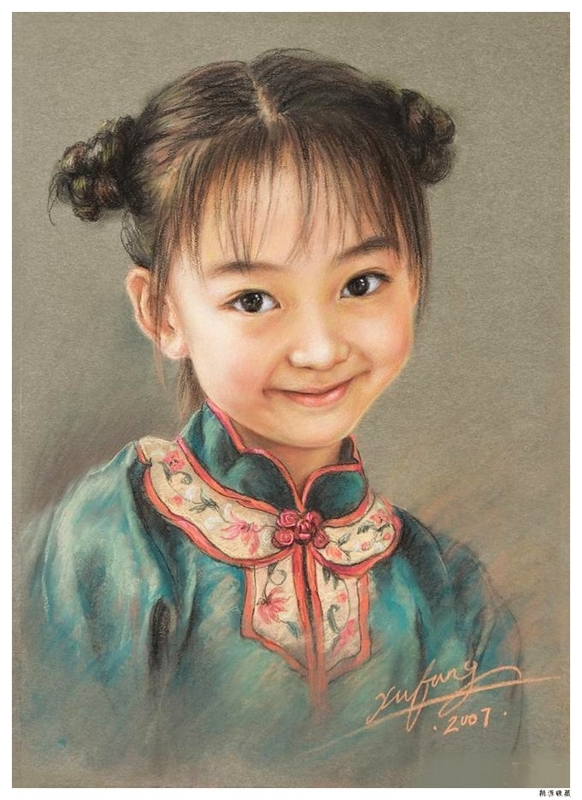 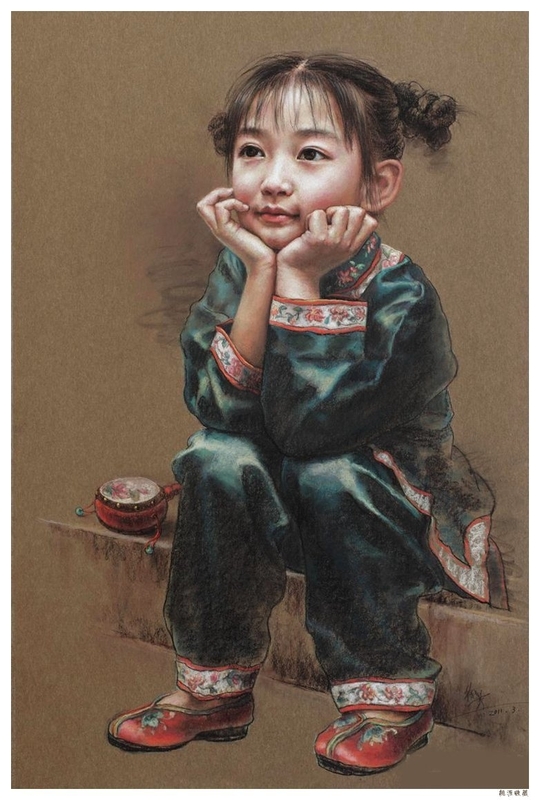 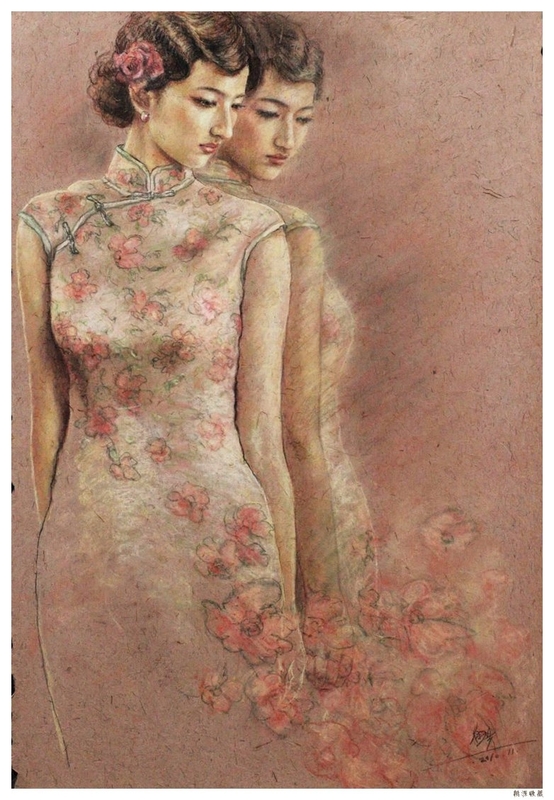 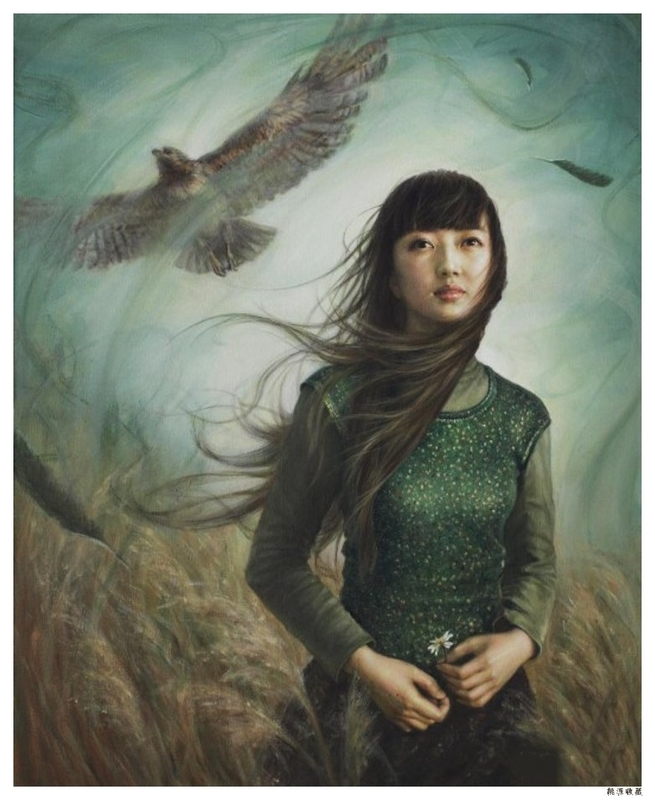 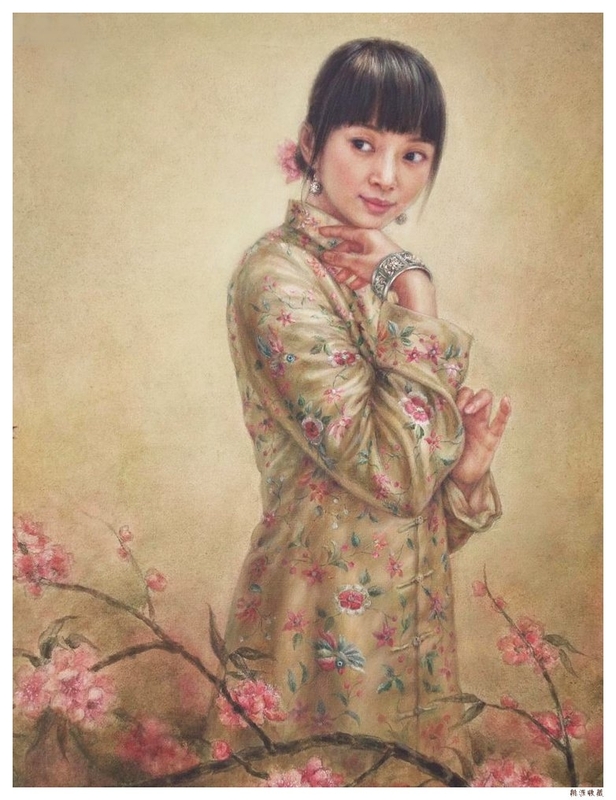 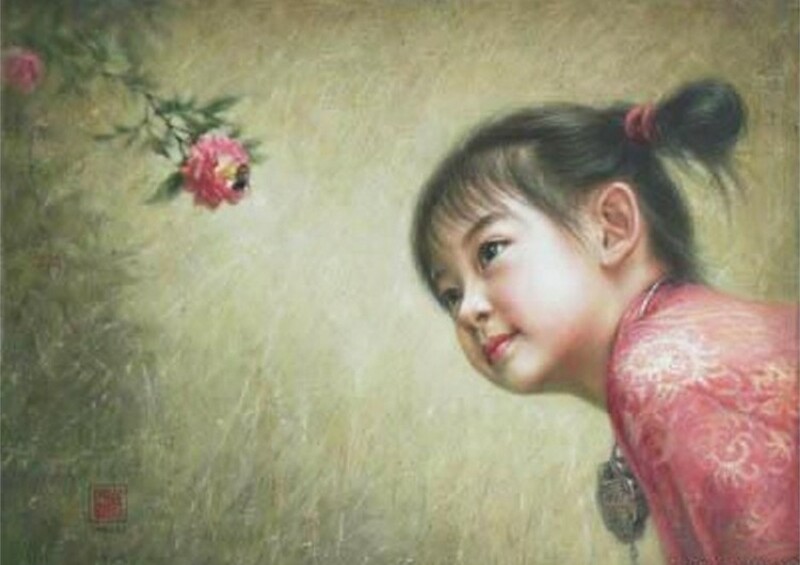 Ms. Xu Fang is especially good in realistic paintings of Chinese girls. 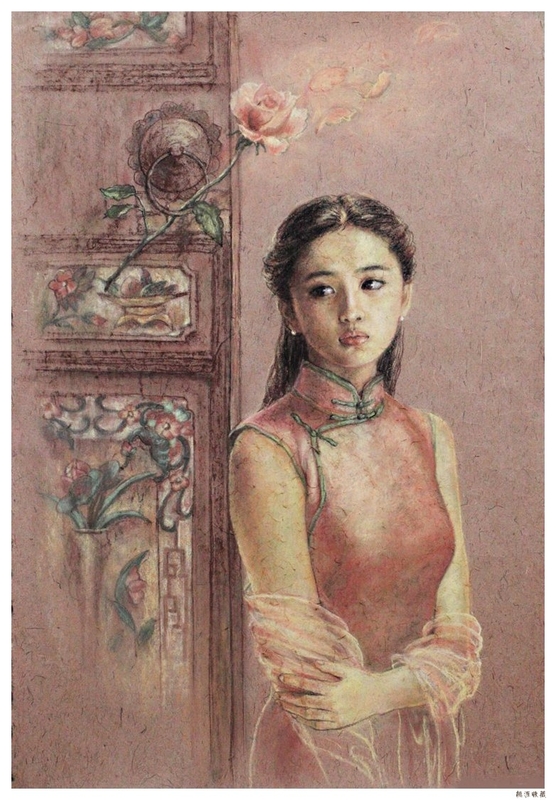 Her artworks attended some provincial and national exhibitions and won several prizes. 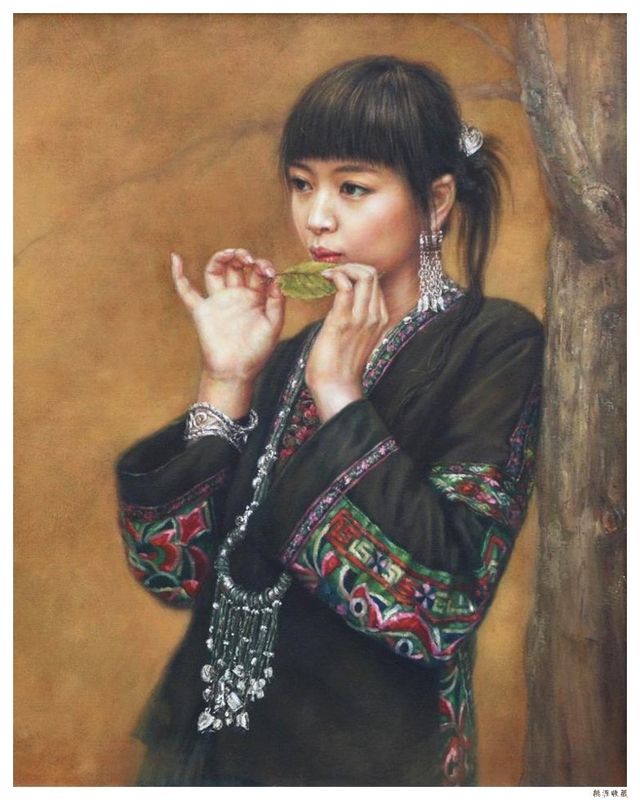 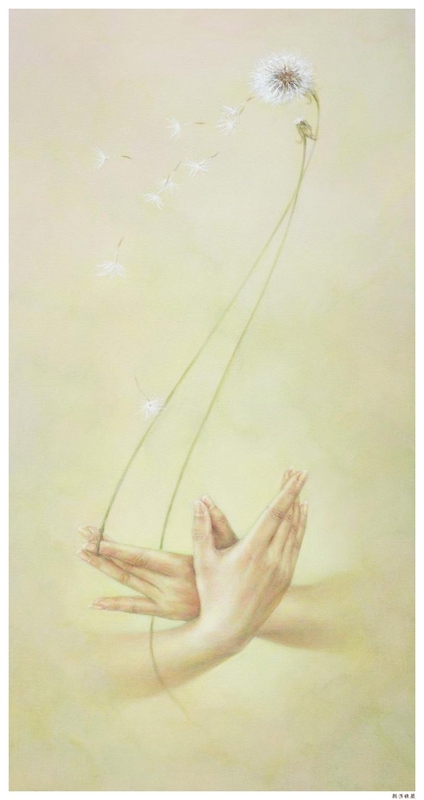 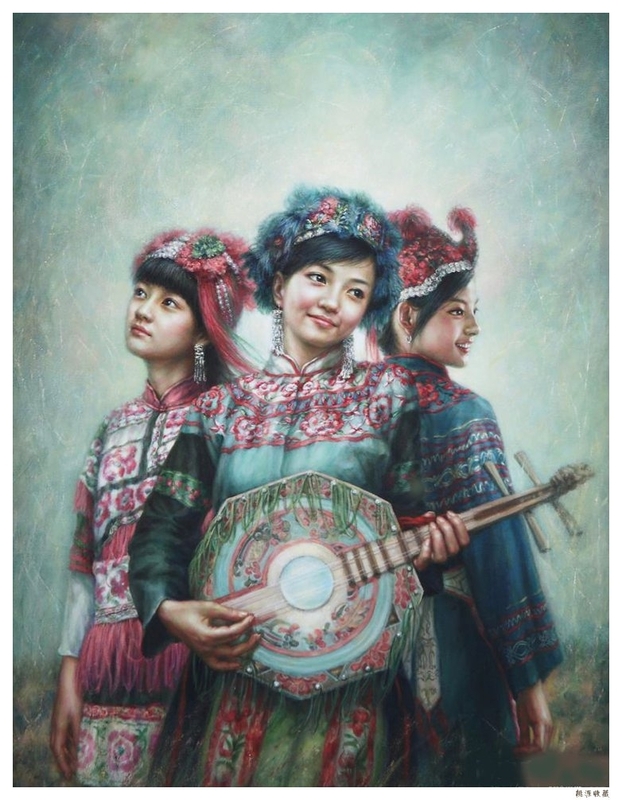 The paintings by Ms. Xu Fang are very Chinese, and especially typical for paintings in the style of Yunnan Art School.